Calthorpe Park / Need a Tennis partner? If you have Tennis Membership for Calthorpe Park but need someone to Play with then a Facebook group has been set up. If you search 'Calthorpe Park Tennis' on Facebook you can submit a request to join the group. 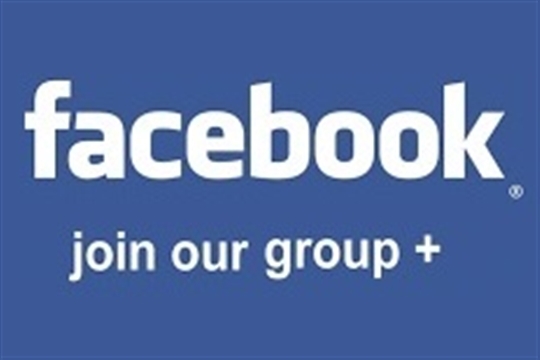 You can then post on the page - this is a closed group so posts will only be seen by members of the group. The Fleet Tennis League offers local residents friendly and competitive singles matches for adults of all standards! If you would you like to play more singles or are looking for new people to play, the Fleet Tennis League is a great way to play friendly, competitive tennis against other players in your area. You can play on any court in Fleet including the courts at Calthorpe Park, and every player who completes 3 matches by the half way mark is sent a free can of tennis balls! Click here to see details of the upcoming round in the Fleet Tennis League and come and join other players in Fleet to get a great match, when it suits you. See you on court! I’m worried about my standard! - No need! The league is open to everyone. Players are divided in groups of the same ability so you only play people of your standard. How do you judge people’s level? - Local Tennis Leagues have evolved a questionnaire, based on our experience of running tennis leagues since 2005. The Questionnaire can be found on your local leagues page. When and where are matches played? - It’s up to you! Matches are arranged between opponents at a mutually convenient time and place (most of the leagues are based on one or more ‘home’ set of courts). How many matches will I have to play? - There should be at least 5 matches and a maximum of 7 matches to play, depending how many people join. How do I know who I will be playing? - Local Tennis Leagues will email with all the information, including contact details for players in your group, shortly before each round starts. What is a ‘round’? -Typically, each ‘round’ lasts 8 weeks. This is the timeframe to play your matches. How many rounds are there? - Local Tennis Leagues aims to run four rounds a year in each venue. Does the entry fee cover the cost of the courts? - Sorry, no! It covers prizes, free balls at the midway point, customer service, and LTL administration costs. For Fleet if you have membership then you can access the courts with that, otherwise courts are £6 per court per hour. Who books the courts? - Either you or your opponent. When arranging matches, decide between yourselves who will do this. You should share any cost between you if there are any. How do I report scores? - Either email Local Tennis Leagues with the result or use the report your score forms on the current round pages. Either way, we will acknowledge the score and post it to the website. What happens when the round finishes? - Winners in each group are promoted in the next round and losers demoted. Other players may go up or down according to past performance and the overall number of players playing. Please note, as numbers always fluctuate from round to round, the groups are not necessarily comparable between rounds. What about doubles? - Doubles (usually mixed doubles) is offered according to demand. If you are interested, just let Local Tennis Leagues know! Can I play a match after the official end of a round?- Local Tennis Leagues will usually accept a result of a match played within a few days (up to the end of Sunday) of the deadline so long as the result does not affect who wins the group (unless a head to head between two players tied at the top of the table).